India and US is going to create a great relationship and so that the president of US Barack Obama is coming on 25th January 2015 and will stay in India for 2 days. 26th January is republic day of India. It is celebrated as republic day all over India. On this day flag hosting is done everywhere. Let’s know more about it. 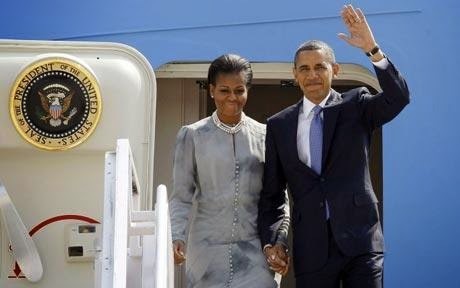 The US president Barack Obama is going to stay at Delhi from 25th January to 26th January 2015 for republic day celebration. Moreover, as the part of the plan Delhi police is launching 15000 CCTV cameras for republic day and Barack obama is a chief guest. In addition, more than 45,000 personnel from Delhi police and paramilitary forces will be there on the streets of Delhi on 26th January 2015. Here is the complete schedule of Barack Obama’s India visit. He will reach at Delhi in the early hours (4.45 AM Approx) of 25th January 2015. Then he will receive guard of honor at rashtrapati bhawan and after that will visit rajghat. Then he will be in Hyderabad house for the summit meeting with Prime Minister Narendra Modi. Moreover, he is also expected to meet India-CEO forum on the same day. Obama will be a chief guest at rajpath till afternoon. Barack Obama and Narendra modi will together interact with the CEO from both sides in the evening. Moreover, he will attend the “At Home” program at the rashtrapati bhawan. Moreover, private dinner will be there with the PM at 7 pm, RCR. On 27th January 2015, obama will reach at town hall meeting at siri fort and then will visit the taj mahal in the afternoon before departing for the USA in the evening. This is the schedule of obama’s India visit. It will be a great honor for us to have Barack obama in our country. There will be great activities on republic day and people will be there to see the celebration of 26th January 2015. There will be a great preparation to welcome US president barrack obama.